It’s the holidays, it’s time for delicious cookies and it is time for family baking activity. 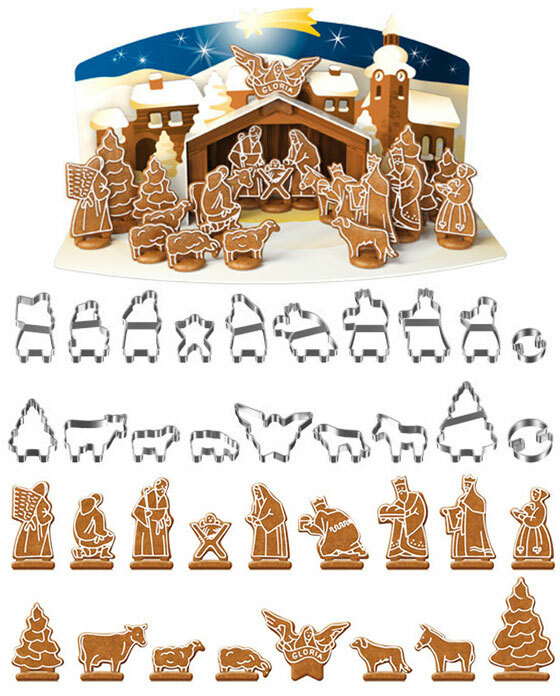 Check the 7 Cool and Fun Christmas Cookie Cutter and Stencil Sets presented in this post, from sweater to snowflake, from Rudolf to Santa Claus, you have so many options to give your cookie a Christmas look! Not everyone like to wear Christmas sweaters since they are kind of garish, heavy, itchy and downright embarrassing for some people. 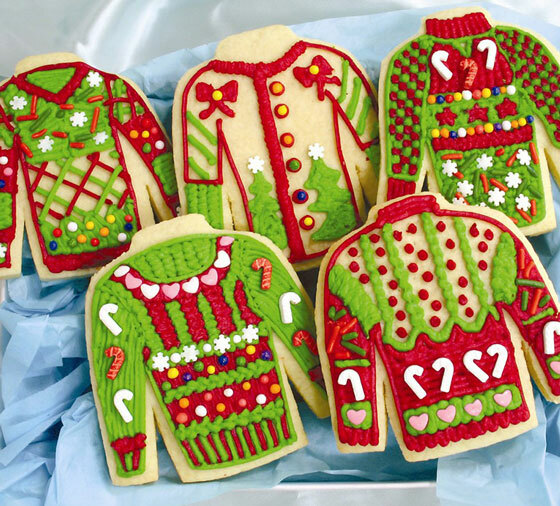 If you are those ones who don’t think you can pull off a hideous piece of festive knitwear but still want to holidy feeling, why not bake one instead with our Ugly Jumper Cookie Kit. 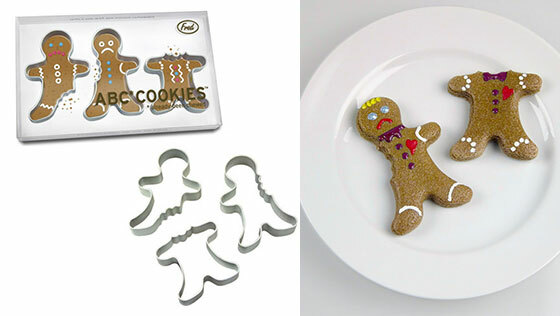 This interesting cookie cutter probably will help you prevent those little cookie theft at your home. 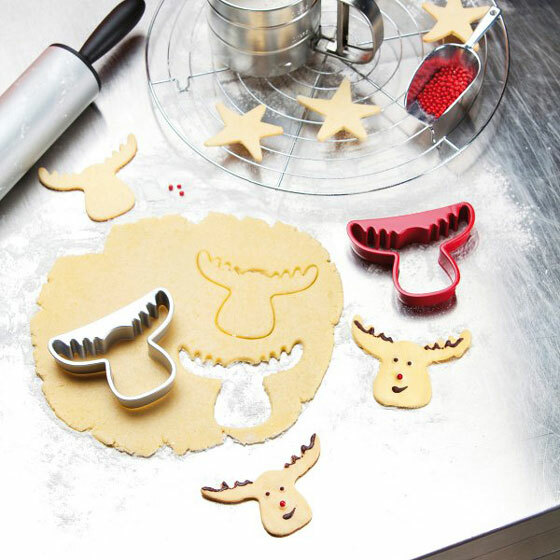 Simply make your cookies like usual then stamp out a few with these cookie cutters and bake. The finished cookie will look like left over and might be avoided by those evil little cookie thieves. This lovely rudolf can be your coffee/tea friend not only in this holiday season, but all year round. They simply looks good enough to eat! Measures: Length 8.5 cm, Width 10.7 cm, Height 2 cm. 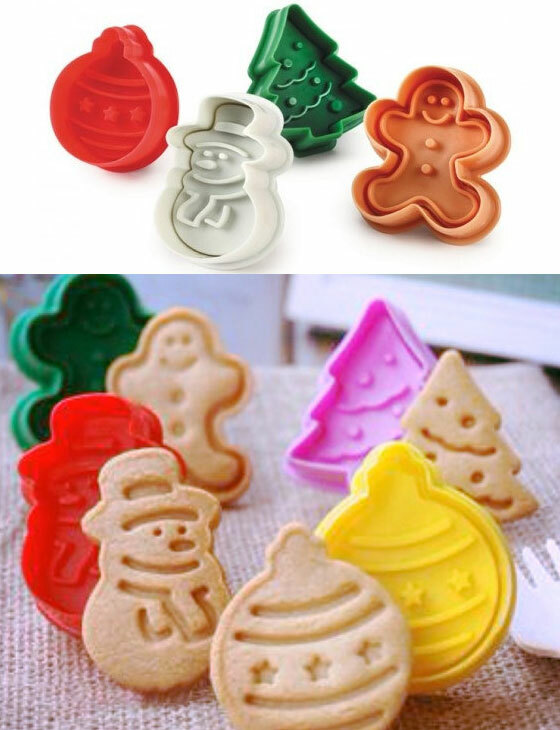 Made of plastic, these four 1-3/4-inch Christmas plunger cutters can easily help you create Christmas themed cookie. Tree, bell, gingerbread and snowman, let’s roll up the sleev and prepare our Christmas cookie. This easy-grip stainless steel cutter with extra-deep sides is perfect for cutting many favorite foods into spectacular shapes. Ideal for brownies, biscuits, sandwiches, sheet cakes, cheese, crispy treats, fudge and much more. So are you ready to make some snowflow with this comfortable cutter? Want to have a Santa on your desk? 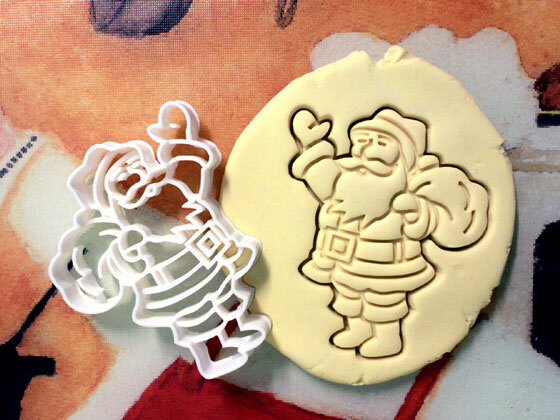 Take a look at this Santa Claus Christmas Cookie Cutter with high details. Measurement: 4″ x 3″ approx. Great for cutting cookie dough ( of course ) also works great with bread, cheese, soft fruit, play-dough and more! This beautiful set contains 19 cuts in metal masses, and elegant pieces of scenery with genuine Christmas spirit. Works as great entertainment for the family, cooking for Christmas decorations. Just remember, don’t put them in the dishwasher. You need to wash them manually with fresh water and let it dry naturally.